Make sense of pressure, efficiency, and more in order to purchase the best device to transform your bathroom into a home spa. There’s nothing quite like the sense of clean and calm that comes with a great shower after a long day’s work. One of the simpler pleasures in life, it washes away the stress of the day both literally and figuratively. Yet whether you’re fine-tuning choices for a bathroom remodel or just fed up with a drippy drizzle, you may need some assistance choosing the perfect showerhead. This guide, which includes recommendations of some highly rated models, will streamline the process and help you determine what you really want in terms of functions and features. Pick your pressure. 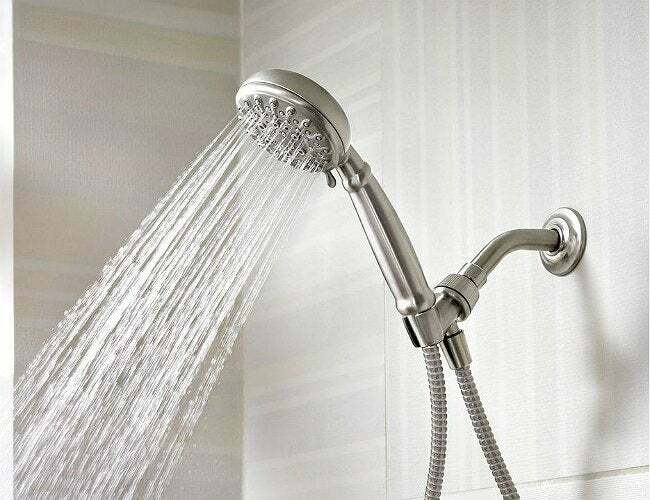 There was a time when showerheads merely sprayed—and over their lifespan, the plastic or metal nozzles were prone to blockages. Today, most are manufactured with silicone or a similar polymer far more resistant to scaling. Not only will you enjoy an uninterrupted stream, there are a host of mist options available to help you customize your cleanliness. • Aerating showerheads mix air and water to produce a misty, substantial spray, yet they may cool the water by as much as 15 degrees. • Laminar-flow showerheads offer a mighty yet less misty experience, through individual streams of water. They tend to be a bit pricier. • Rain showerheads have a large head and a wide, low-pressure spray pattern to give you the sensation of gentle precipitation. • Multi-setting models let you customize flow, with up to 12 shower experiences—from a trickle to a pulsing massage. Choose your placement. 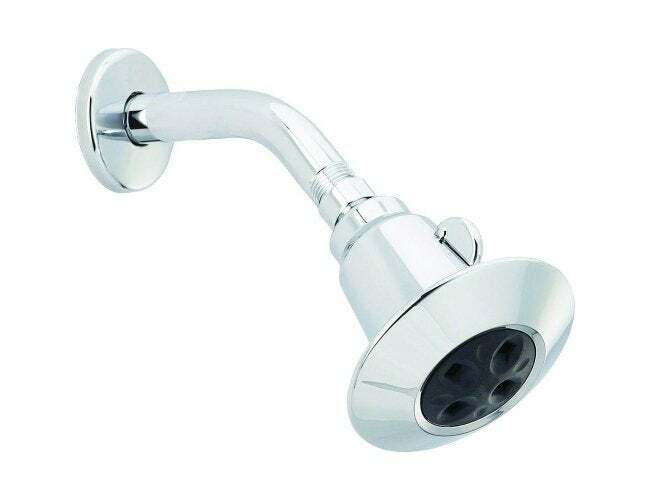 Aside from spray options, the biggest difference between showerheads is wall- or ceiling-mounted and handheld. The mounted variety is more popular for its clean-lined look and ease of use. Handheld versions attached to a hose can be a real boon if you’ve got mobility issues, or if you’ll be bathing small children or pets. If you don’t wish to choose, you can have both, either a wall-mounted main head and an optional, often smaller handheld, or even a shower tower, with a number of wall- and ceiling-mounted heads plus a handheld. With an average rating of 4.5 out of 5 stars on Amazon, this Delta showerhead creates a wave pattern from the water flow, producing the effect of more water being used than actually is. For households with varying water pressure preferences, its dual settings offer both a conservative high-power spray and an even more efficient setting with a slight adjustment. It meets the EPA’s WaterSense requirements, so it may reduce your water bill, too. Wirecutter‘s team put this rain shower model through nearly 20 tests in a 240-shower exercise comparing nearly a dozen showerheads before declaring it the best of the best. It includes a high-pressure mist setting that’s both comforting and efficient, while a temporary-shutoff option further conserves water beyond its 2-gallon-per-minute flow. And its easy installation—under a minute, using only an adjustable wrench—is another plus. For those seeking the flexibility of a handheld, this model—which overwhelmingly impressed Home Depot reviewers—offers five spray settings, from an energizing narrow-stream massage to a relaxing wide-stream option. 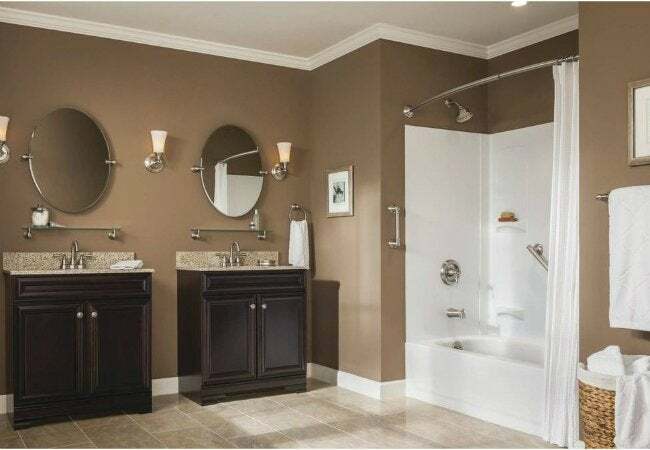 Bonus: It’s available in a chrome, bronze, nickel, or white finish to blend with nearly any existing bathroom fixtures. But with its 2.5 gallon-per-minute flow, it’s not as water-conservative as some units. Now that you know your options, don’t spend another day settling for an inferior spray. 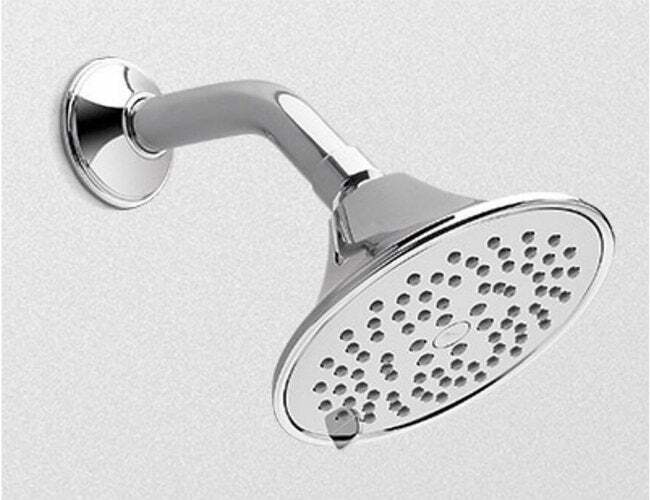 Purchase and put in the showerhead that suits your needs, then jump in and enjoy!